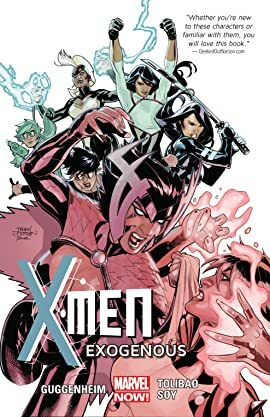 It's a new mission for the first all-female team of X-Men! When the Shi'ar warrior Deathbird lands on S.W.O.R.D. 's doorstep at the brink of death, Abigail Brand calls the X-Men to investigate! But are even they equipped to handle this horrific new alien threat? As "Genespliced" monstrosities engineered from the fiercest alien races across the galaxy threaten S.W.O.R.D. 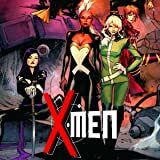 's orbital base, the X-Men find themselves entangled in a conspiracy that connects to the assassination of Rachel Grey's family! Can the X-Men hope to stop an alien horde? Does Brand know more about the Genespliced than she's revealing? How does Rachel's uncle Vulcan tie in? And will Rachel forsake her teammates and risk Earth's safety to take revenge on those responsible for her family's deaths?